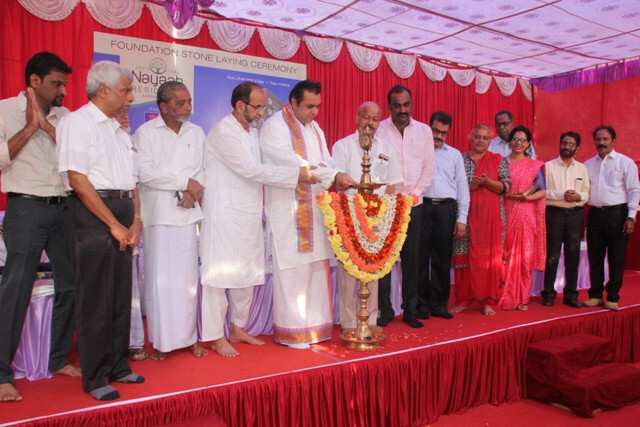 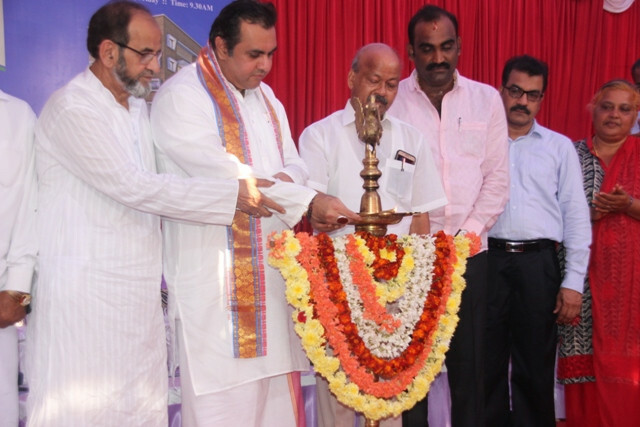 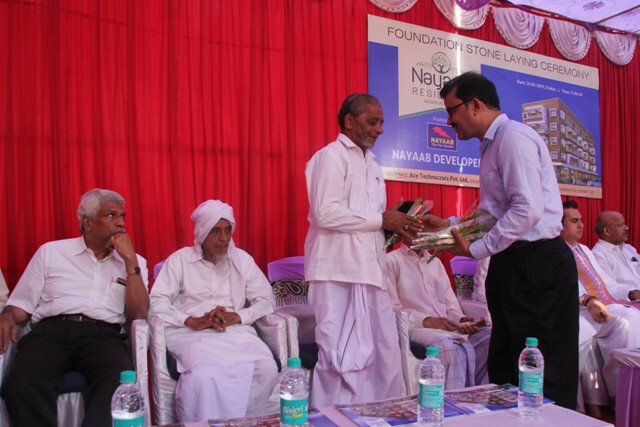 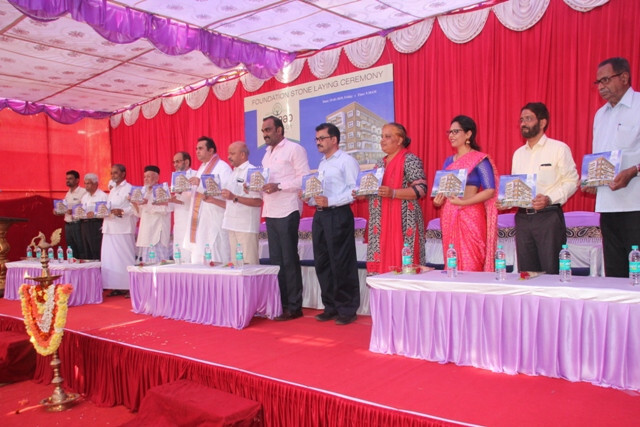 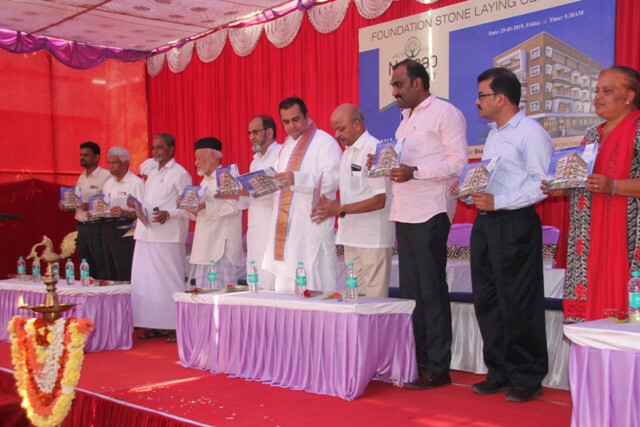 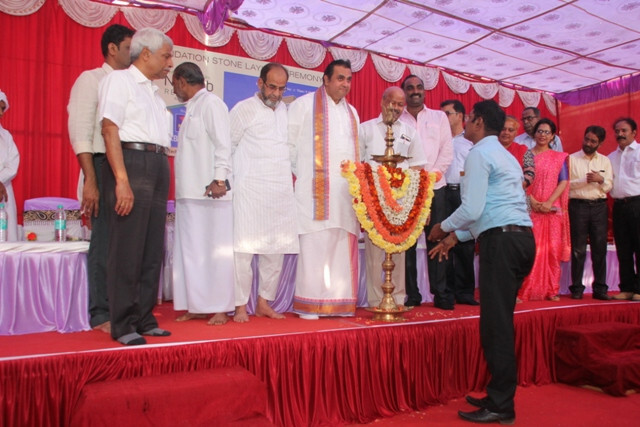 Kemmannu.com | Foundation Stone laid for Nayaab Residency, Udupi. 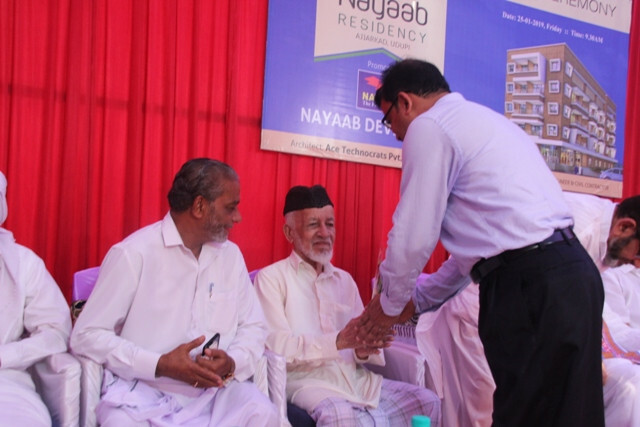 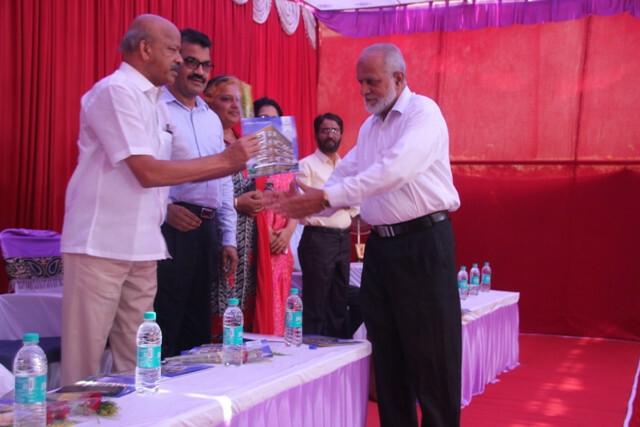 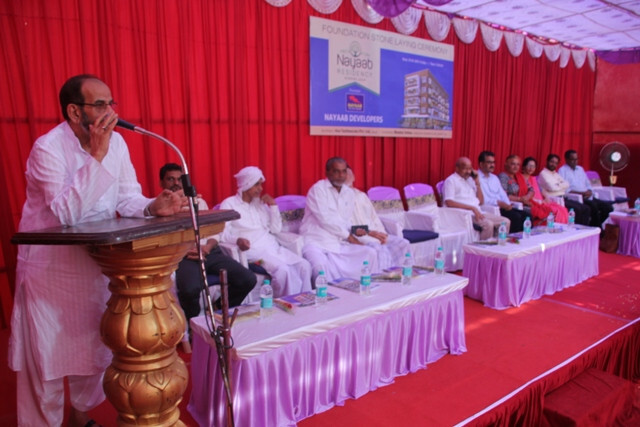 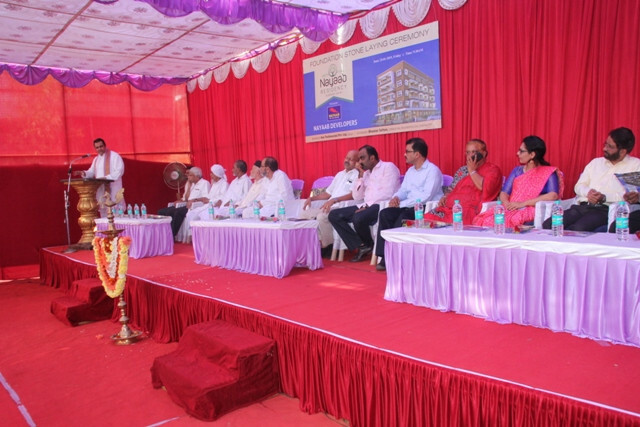 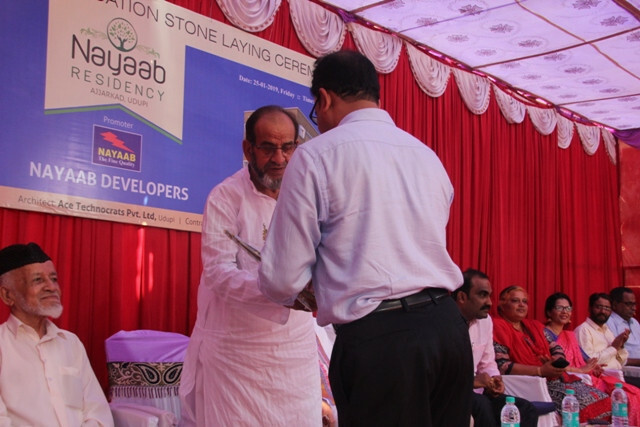 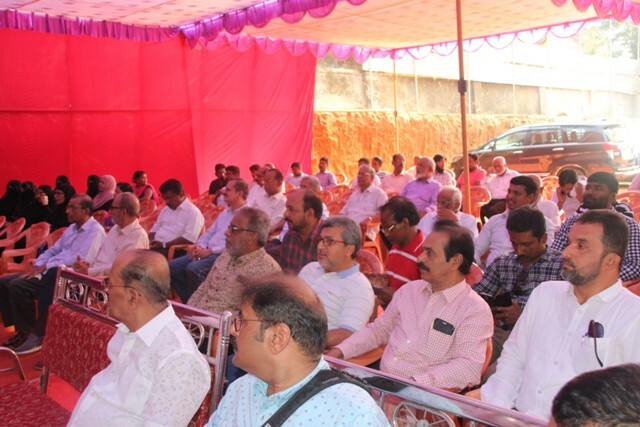 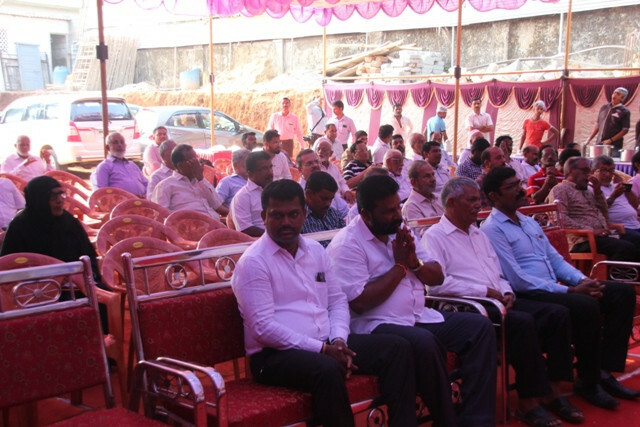 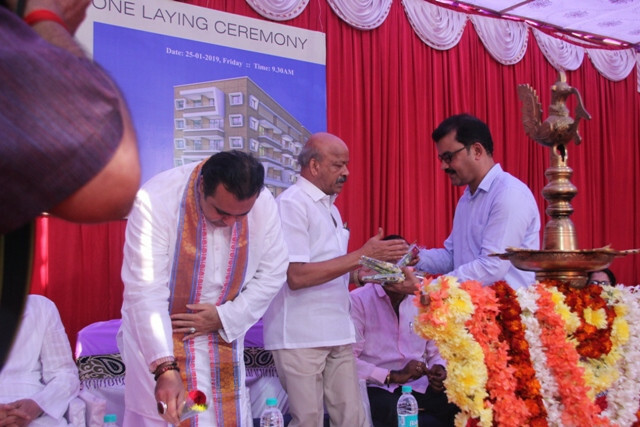 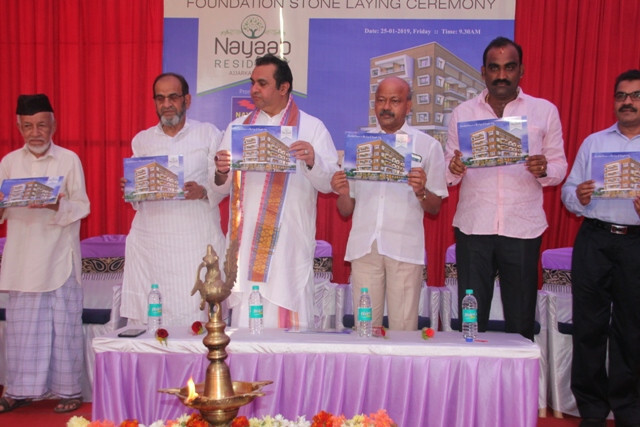 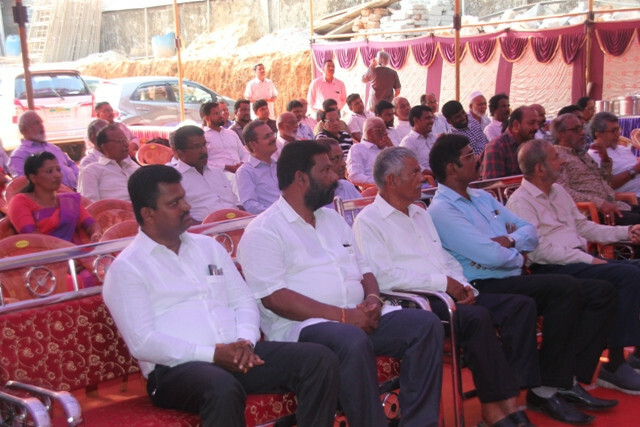 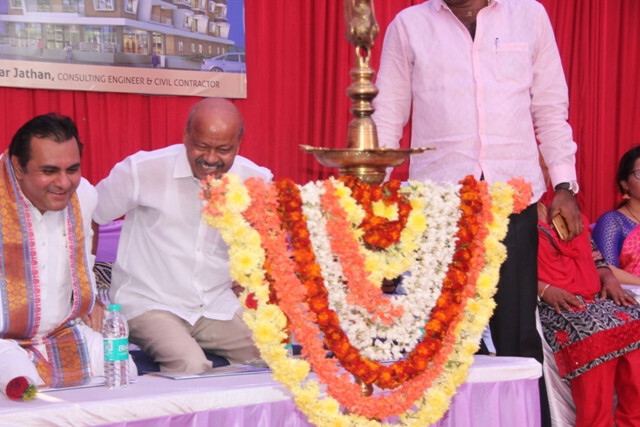 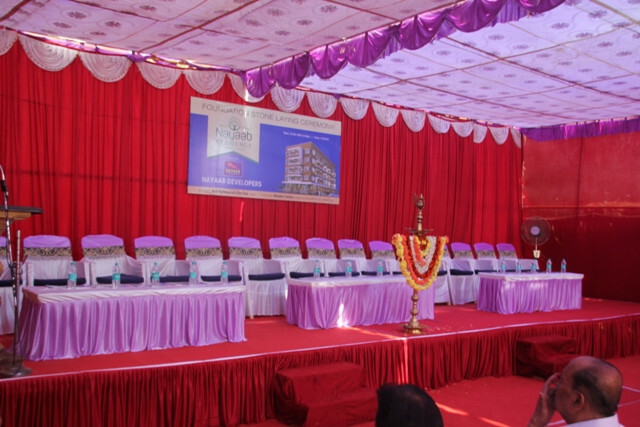 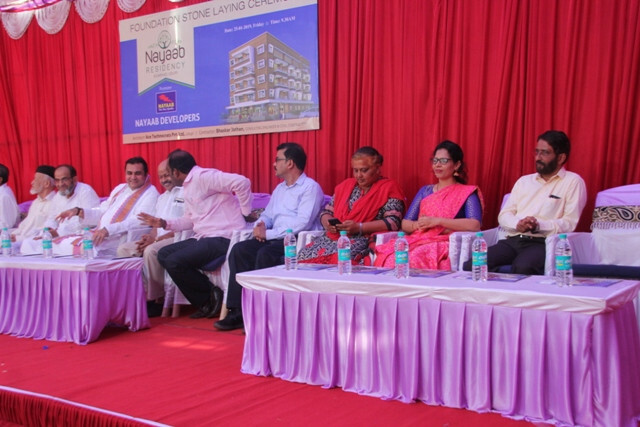 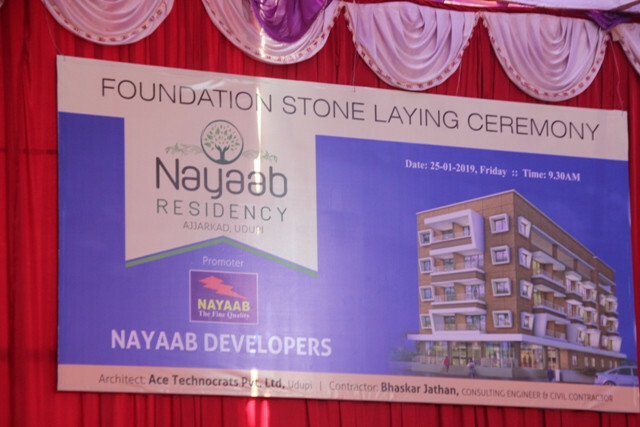 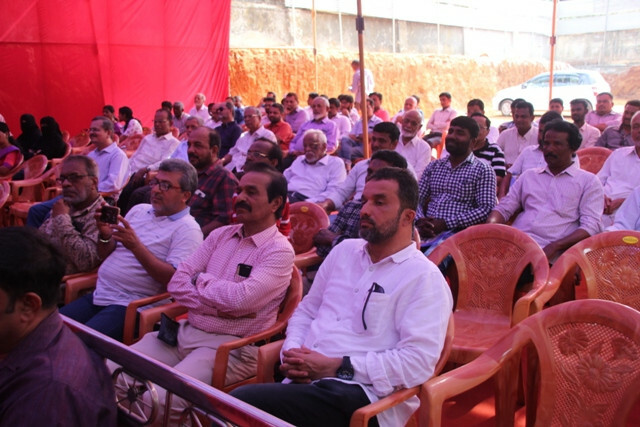 Udupi, 25 October 2019: Foundation stone was laid for the prestigious project of Nayaab Developers promoted by B.M. 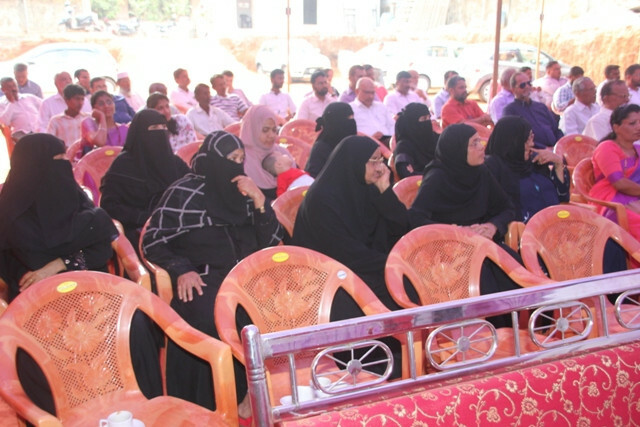 Zaffer and Family, Dubai, U.A.E. 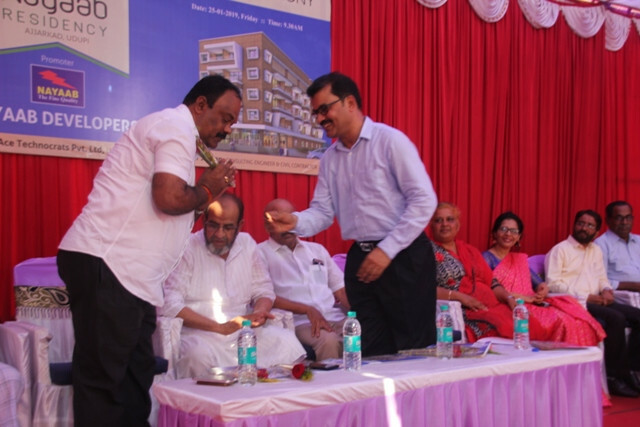 After the prayers former Minister Mr. Pramod Madhwaraj along with the dignitaries lit the lamp and symbolically inaugurated the programe of Foundation laying. 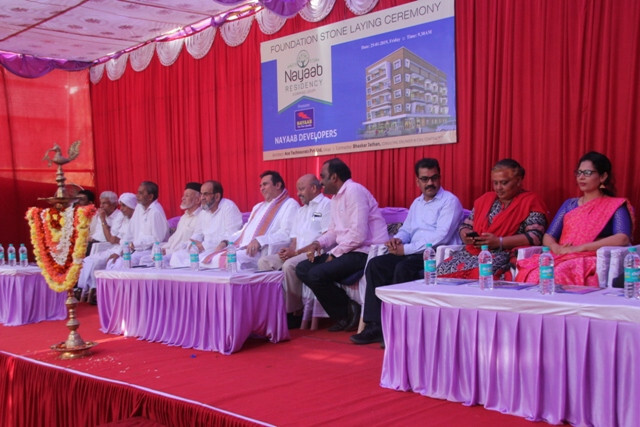 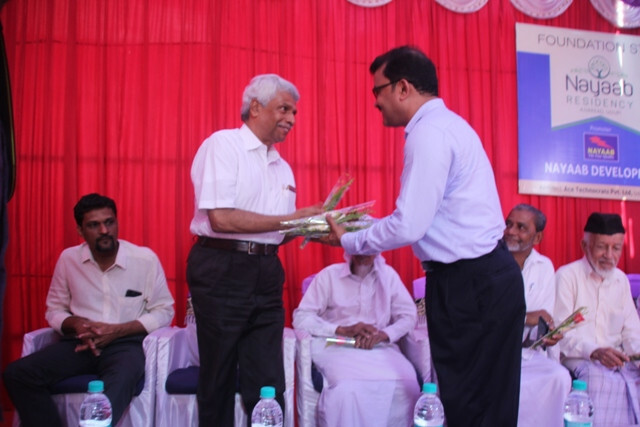 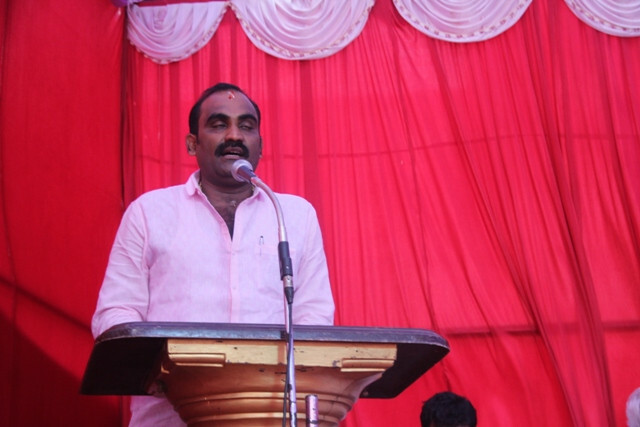 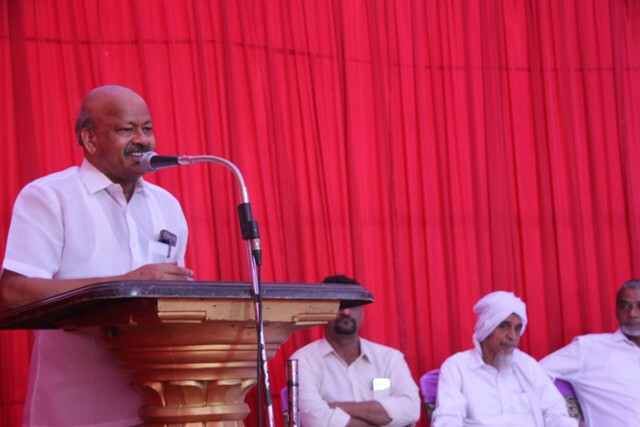 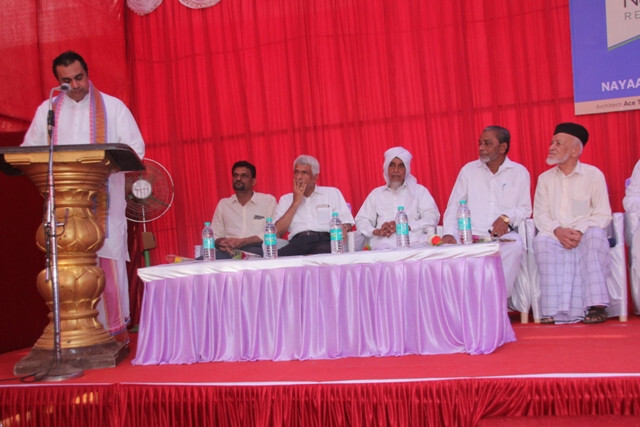 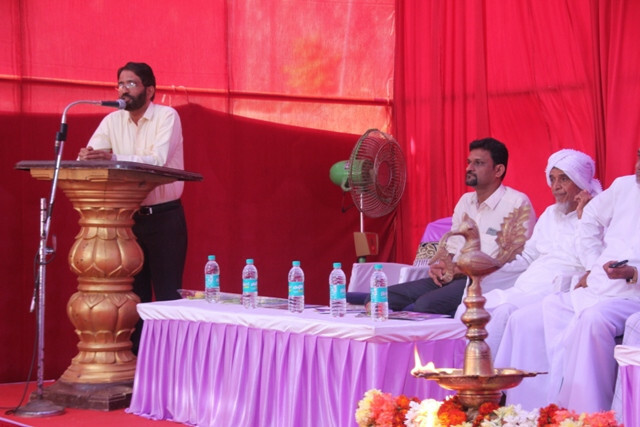 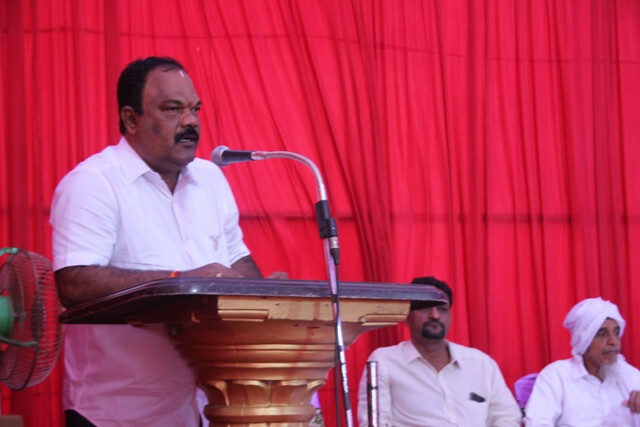 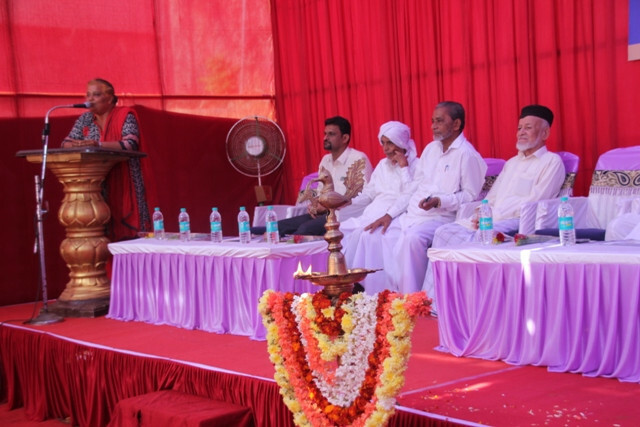 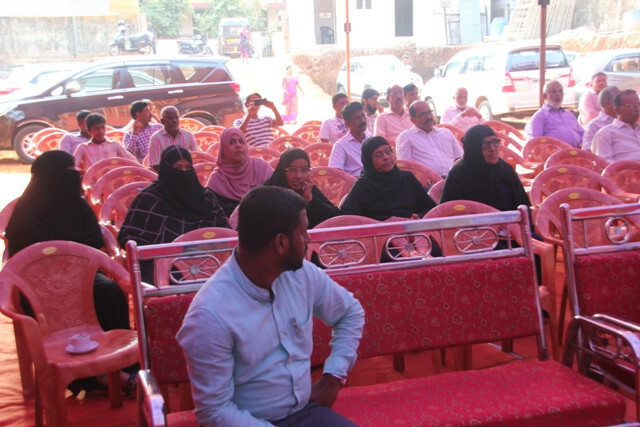 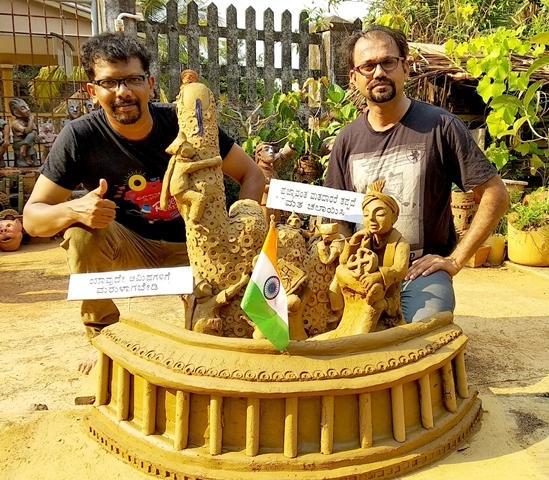 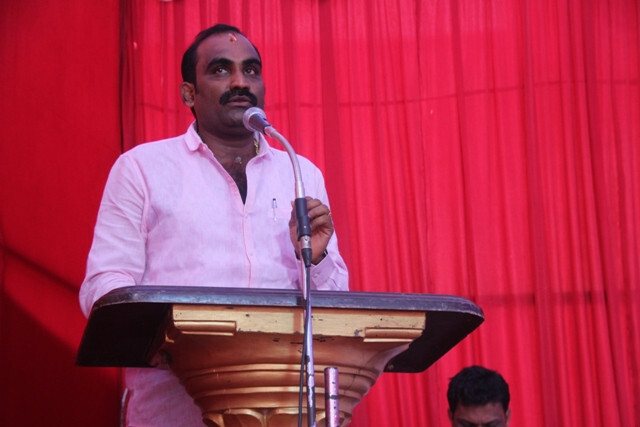 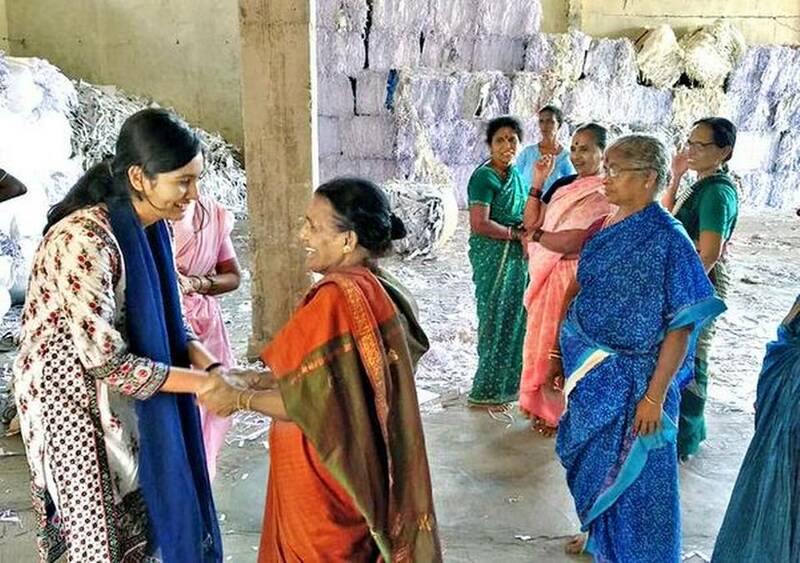 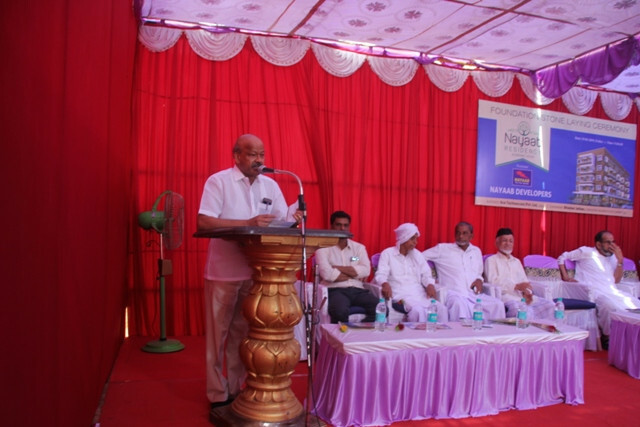 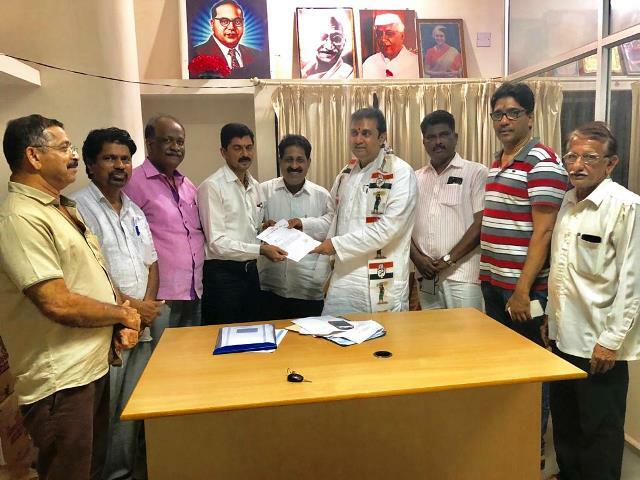 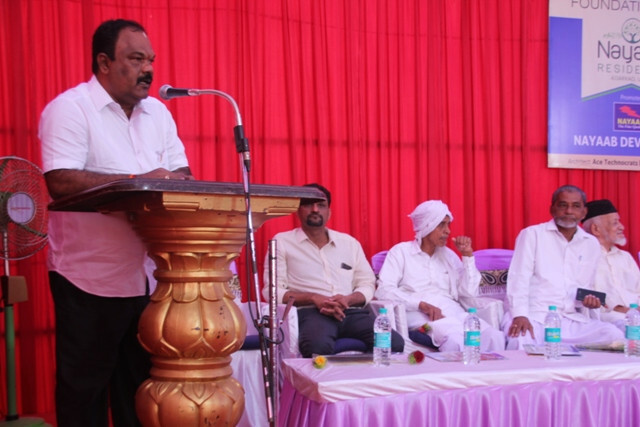 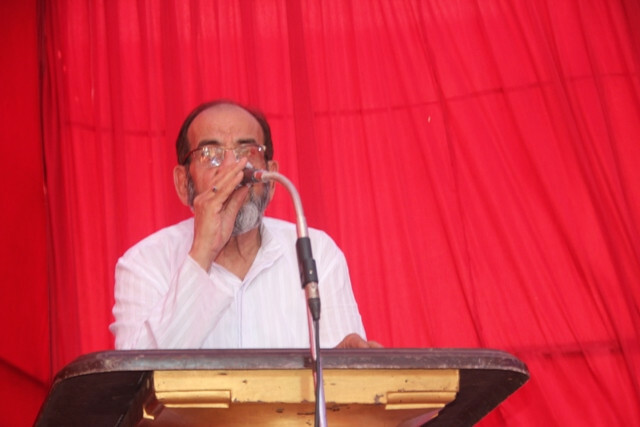 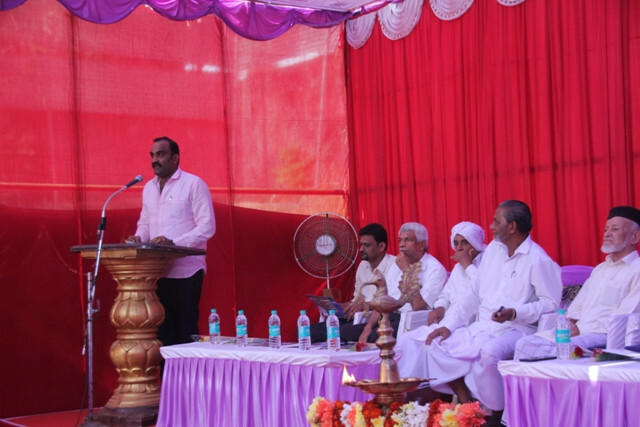 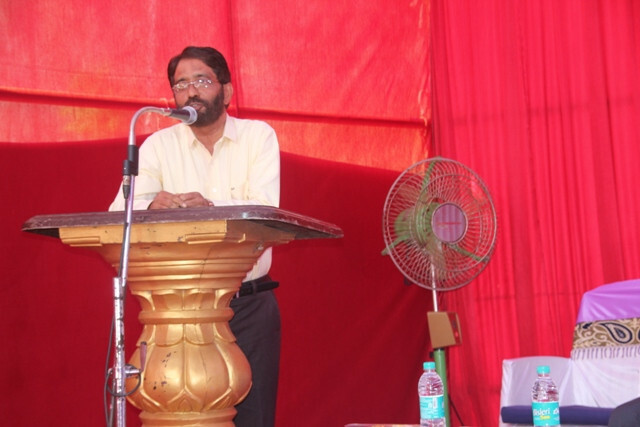 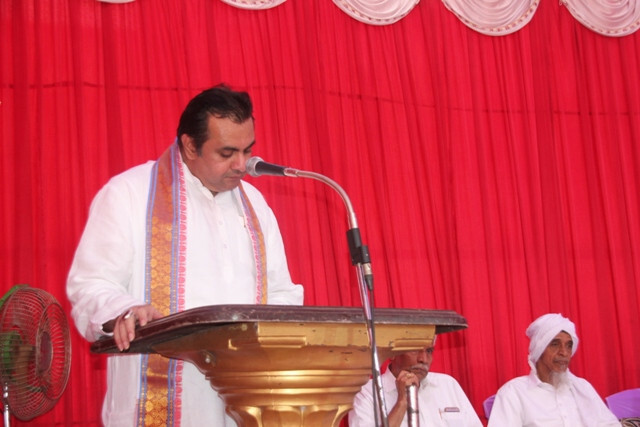 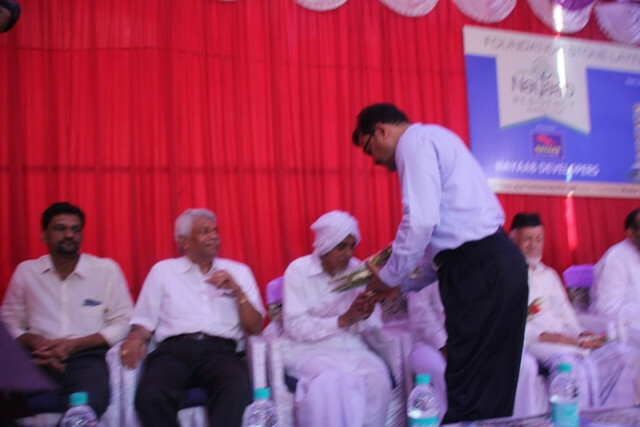 In his message Pramod lauded the efforts of Mr. B. M. Zaffer , who is also the Director of Thonse Health Centre to start this ambitious project in Udupi. 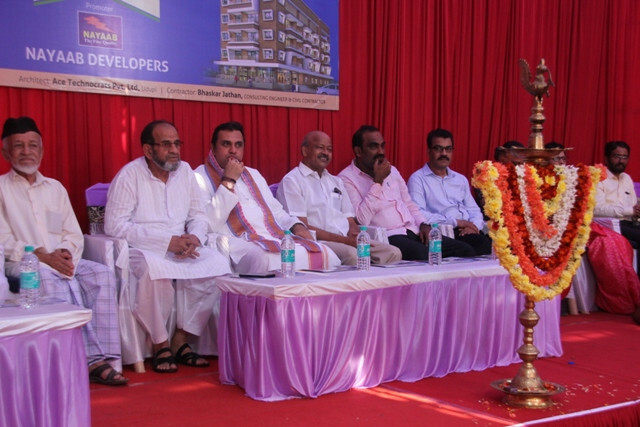 He also said that this project will add value to the already beautiful city of Udupi. 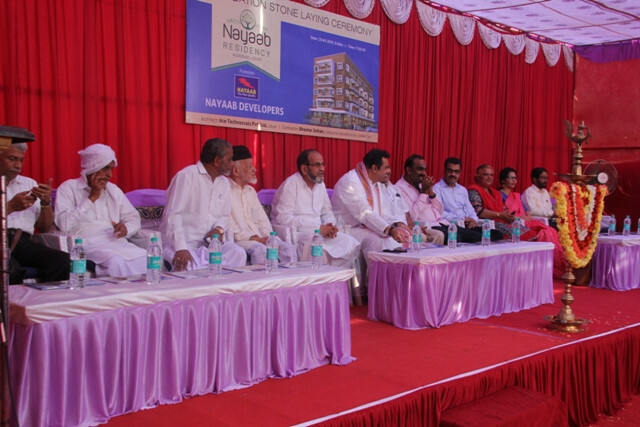 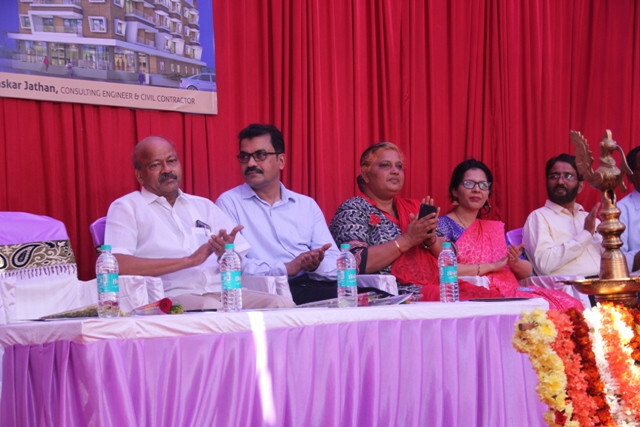 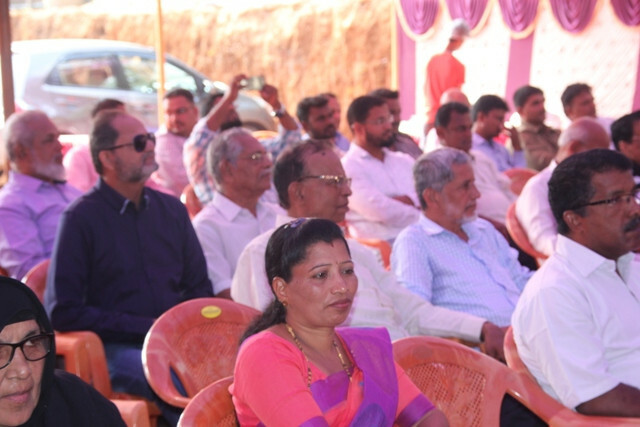 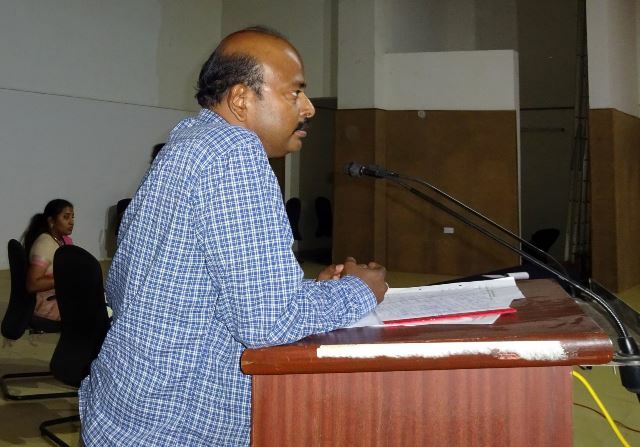 Dignitaries on the Dais included Mr. Janardhan Thonse, Member Gilla Panchayat and President of Udupi Congress, Mr. Abdul Jaleel of Halima Sabju Auditorium, Mr. Purshottam Shetty of M/s. 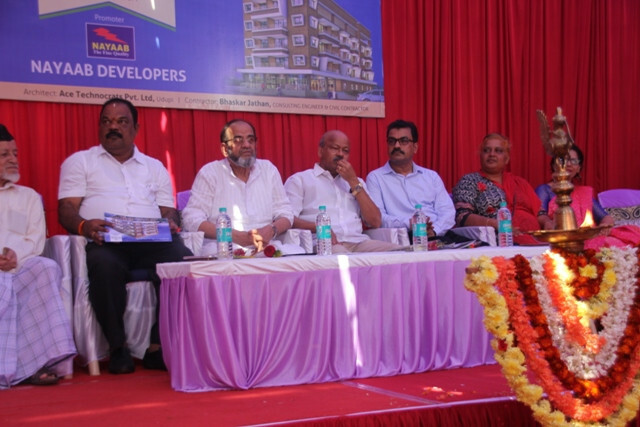 Ujwal Developers, Udupi, Mr. Gurme Suresh Shetty, Mrs. Veronica Cornelio, Secretary KPCC, Mr. Mohd. 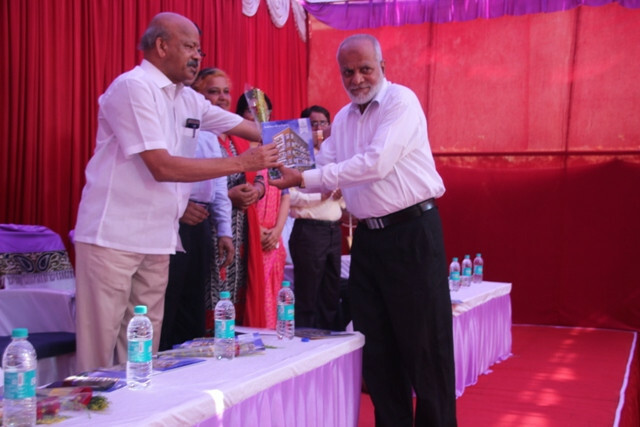 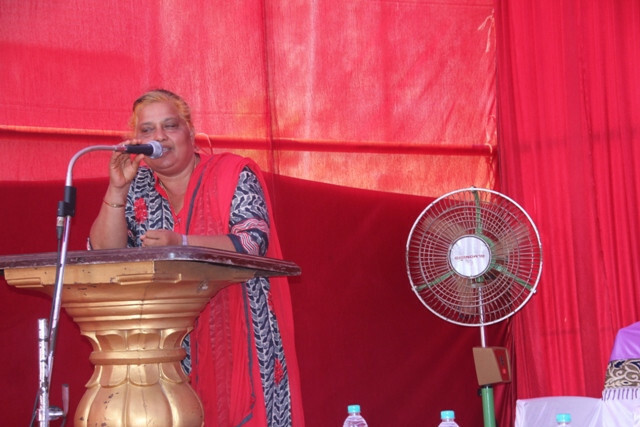 Moula, Mr. Yashpal Suvarna, Dr. Shrutha Dayanand, C.M.O. 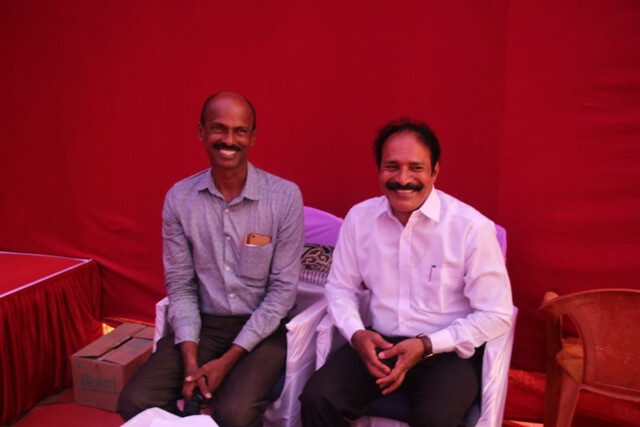 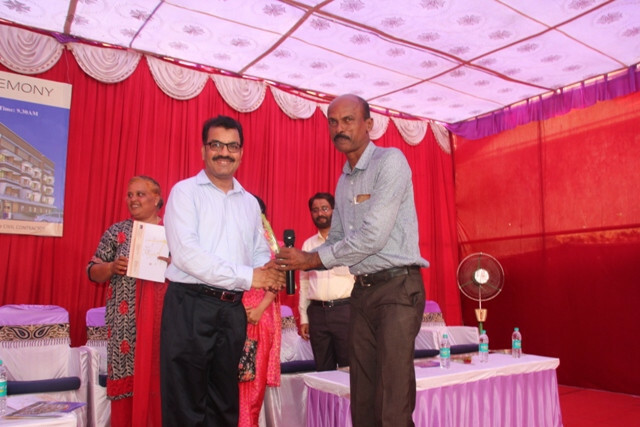 Thonse Health Centre and Mr. Rajendra Maiya, ACE Technocats Pvt. 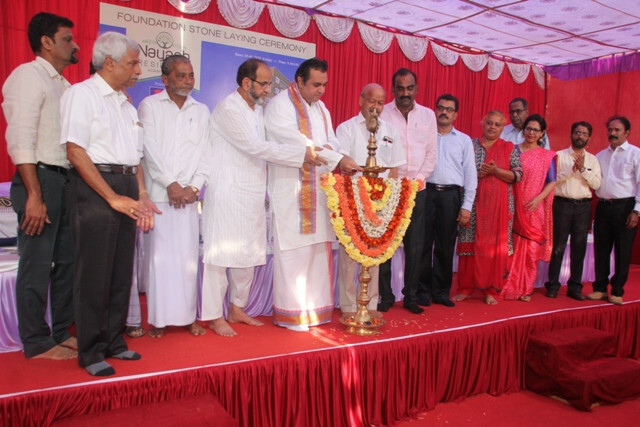 Ltd., Udupi. 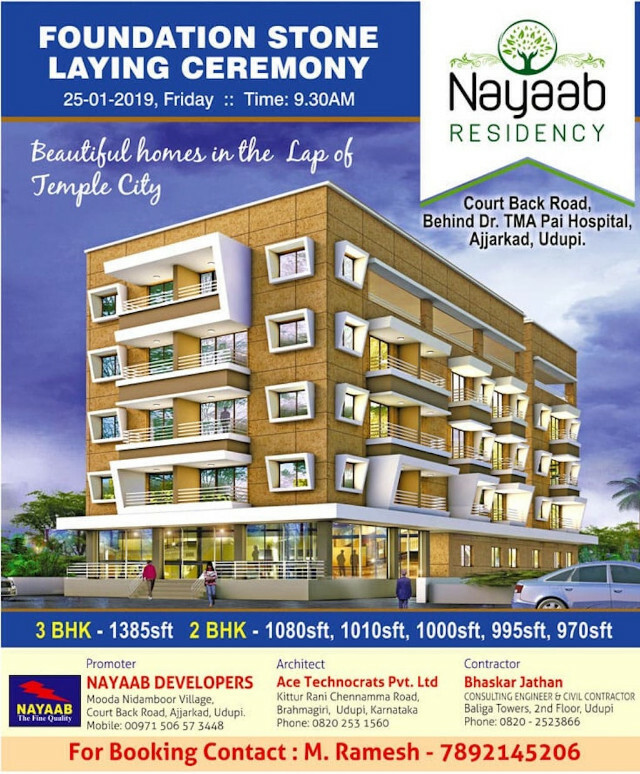 Nayaab Residency which is located at Court Back Road, behind T.M.A. 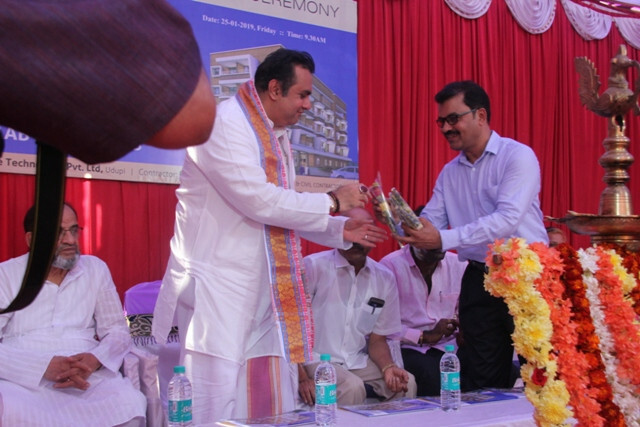 Pai Hospital will have Commercial space in the ground floor and 4 stories of luxury Residential Apartments. 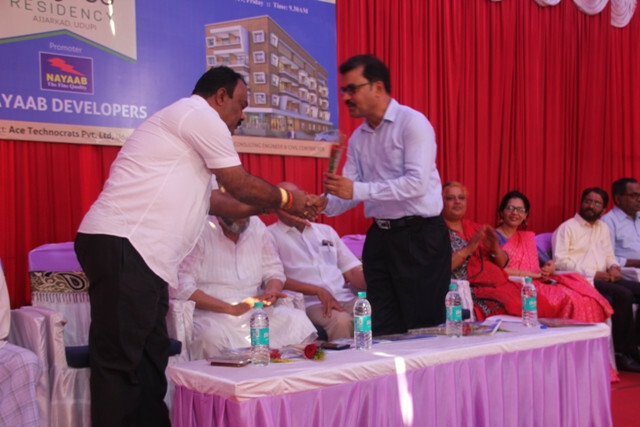 Booking is already open and symbolically Mr. Fawaj Ahmed, who has booked to Apartments already, was presented with a rose on the occasion.